Low Frequency Electromagnetic Technique also commonly referred as LFET is one of the electromagnetic testing methods utilized effectively for the inspection and assessment of Boiler Wall tubes. Low Frequency Electromagnetic Technique - LFET is a non-destructive corrosion assessment method for condition monitoring of Boiler Wall tubes. As the name suggests, Low Frequency Electromagnetic Technique – LFET utilizes low frequency electromagnetic energy to test Boiler Wall tubes. 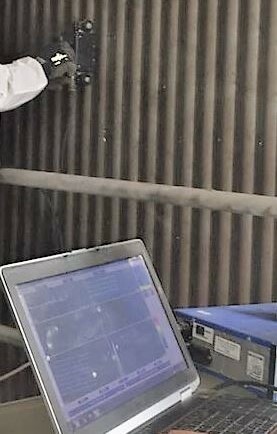 Low Frequency Electromagnetic Technique – LFET instrumentation used for Boiler Wall tubes testing comprises a special purpose contoured (to match tube circumference) manual scanner, test equipment and a custom software for live detection of flaws. A low frequency electromagnetic field in induced into the boiler wall tube material using an external horseshoe shaped electromagnet. Any flaw in the path of the magnetic field distorts the magnetic flux which is detected by the array of sensors. The severity of a discontinuity is measured by analyzing a Phase / Amplitude plane graph with the aid of a custom purpose software. Although Short Range Ultrasonic testing – SRUT is a screening technique used on wall thickness range of 6 to 25mm, this test method can locate the discontinuity location and size to an accuracy of ±10%. SRUT can detect discontinuities such as corrosion, pitting & erosion. Generally detected discontinuities are reported in the percentage remaining wall thickness and categorized into various severity level. 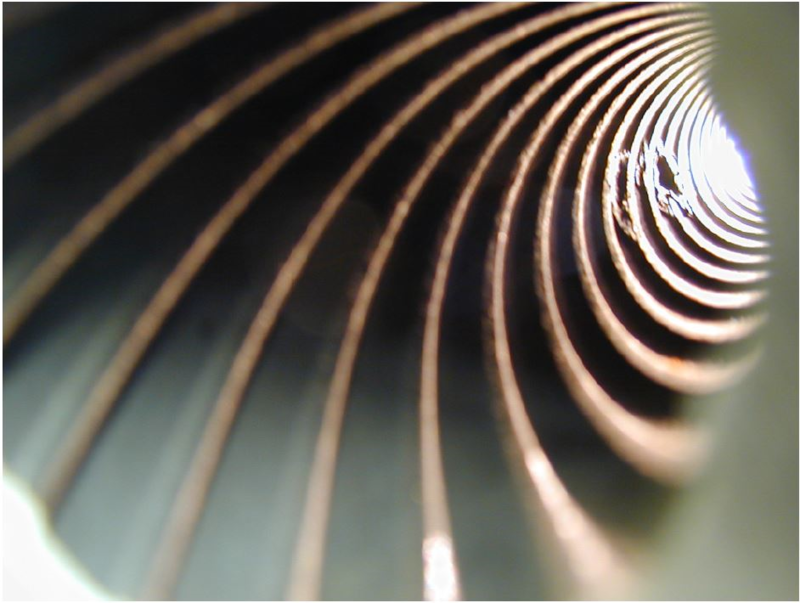 Detect discontinuities while scanning of boiler tubes. 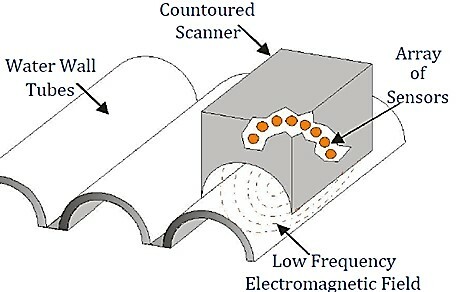 Discontinuities detected by Low Frequency Electromagnetic Technique – require further testing by ultrasonic testing for measuring precise wall thickness. Compared to conventional ultrasonic testing, Low Frequency Electromagnetic Technique - LFET for boiler water wall tubes testing instrument and sensors are complex and expensive. This test method requires highly trained, skilled and experienced technicians. LMATS offers LFET – Low Frequency Electromagnetic Technique inspections from our Melbourne, Sydney, Albury, Newcastle, Brisbane and Perth laboratories. 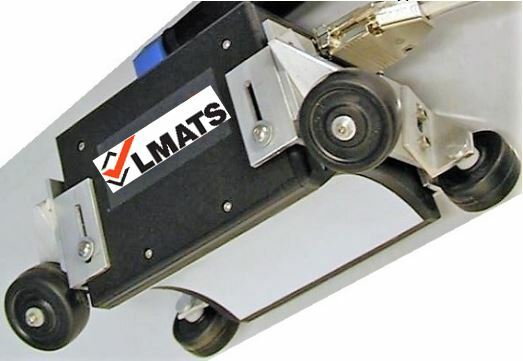 LMATS regularly performs LFET – Low Frequency Electromagnetic Technique testing in VIC -Victoria, NSW - New SouthWales, QLD - Queesnland, QLD - Brisbane, SA - South Australia, TAS - Tasmania, NT -Northern Territory, WA - Western Australia and some of the countries aroung the world.